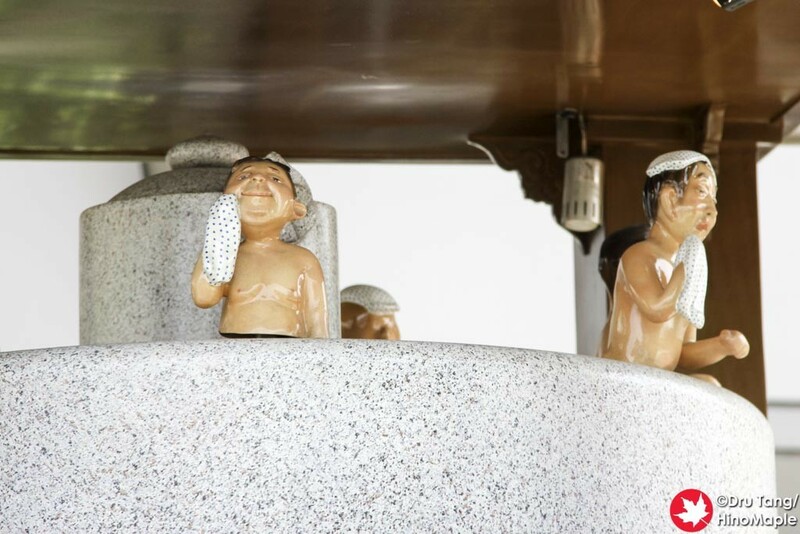 When going to Dogo Onsen, there is one main attraction that seems to get people all the time. 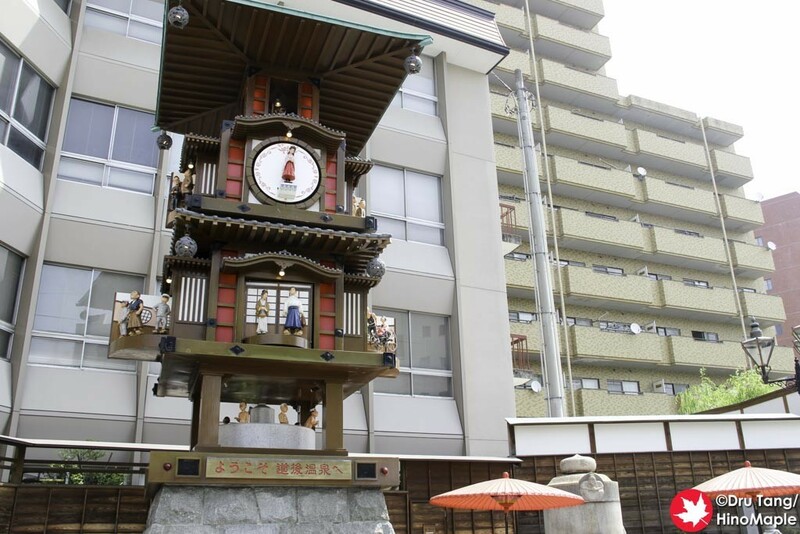 There is a large clock located at the entrance to the shopping arcade that also has a free foot bath at the base. 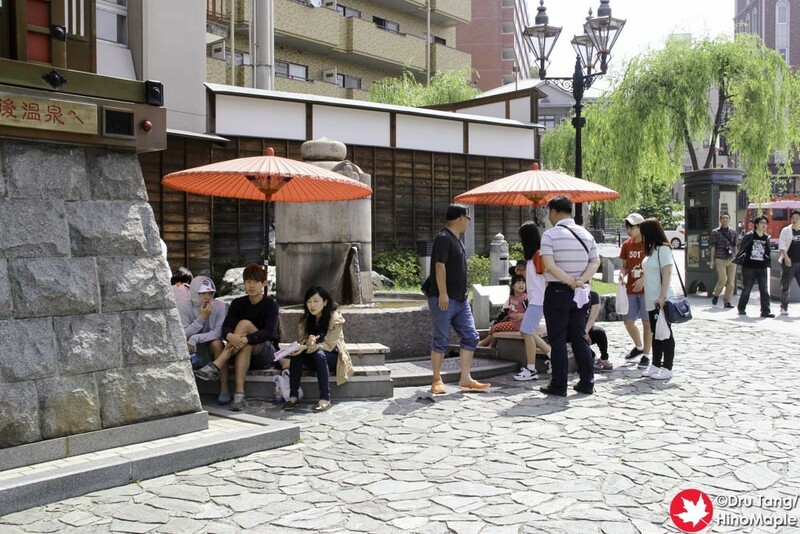 The foot bath is always busy and if you time things right you can be gifted with a real good show as well. 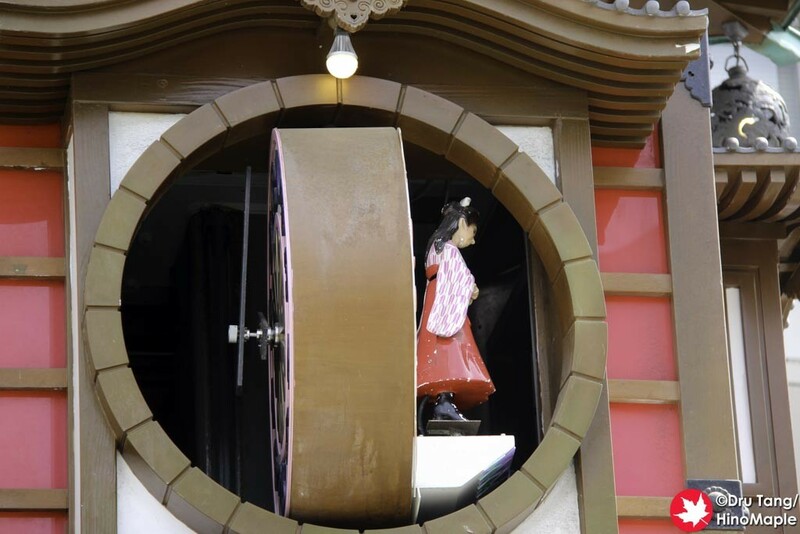 Every hour on the hour from 8am to 10pm, the clock comes to life like a cuckoo clock. 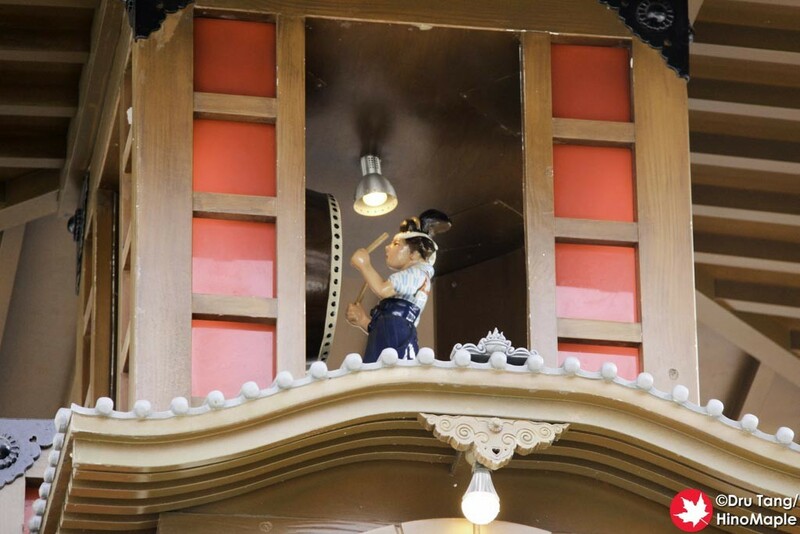 It is pretty amazing to watch as it comes alive as what looks like a nicely designed clock comes alive. What starts off as a simple 2 level clock expands to double its height with a total of 4 levels; even the clock face turns around revealing cute characters from a famous novel. The beginning of the show is really simple with different parts opening up and expanding. 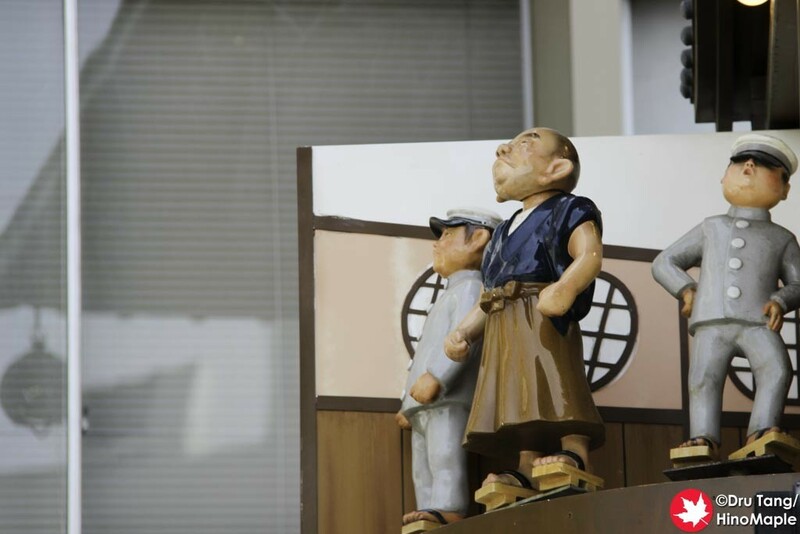 Different characters from Natsume Soseki’s “Botchan”, his most famous novel, start to come out and move to the music. It is a lot of fun to watch and I definitely enjoyed the show. If you have a chance, or you just happen to be there at the right time, do take a few minutes to enjoy the show. 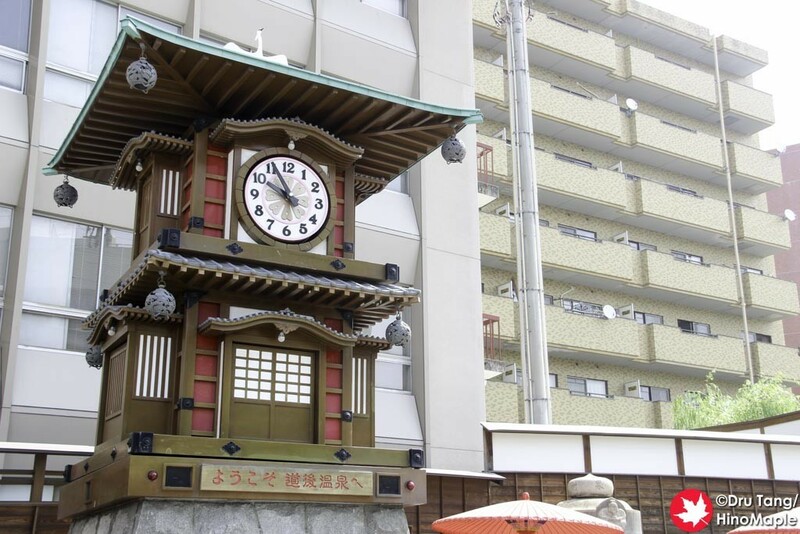 I wouldn’t call it amazing but it is fun and if you ever read “Botchan”, which is really good if you plan to visit Matsuyama and in need of a themed novel, then the clock will be a must visit location. 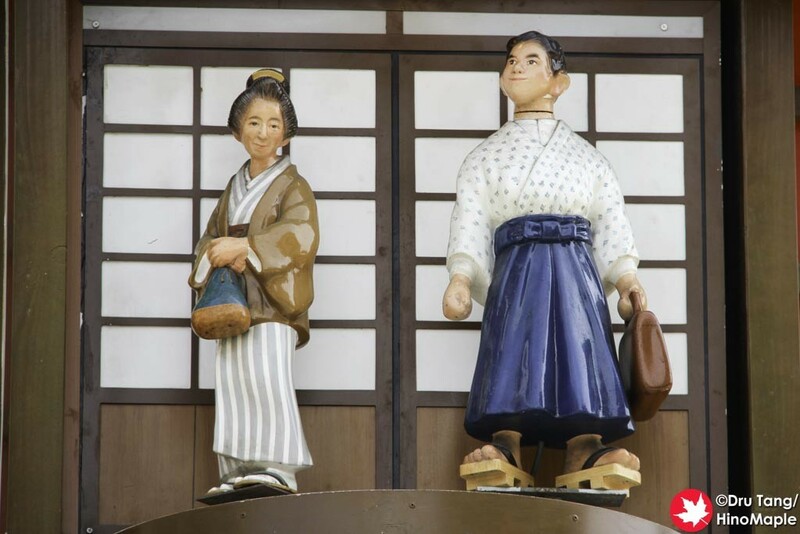 I had an opportunity to read “Botchan” and it isn’t a long novel, but I just never got started. 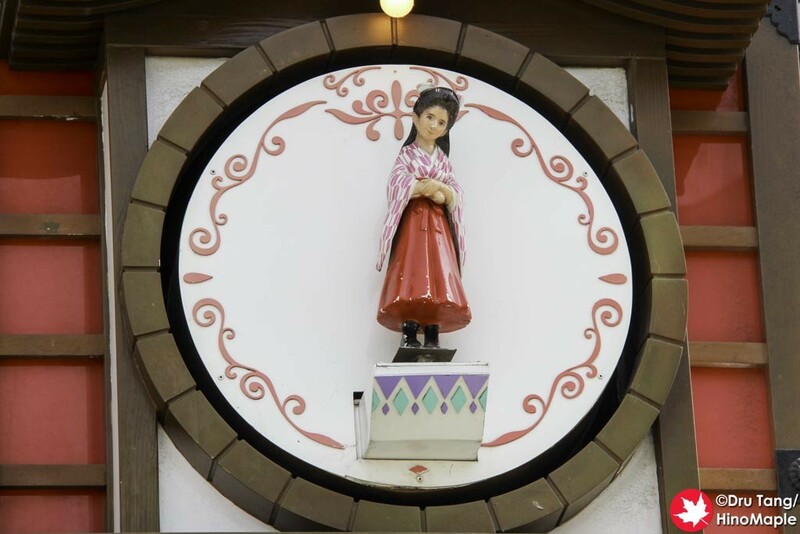 This entry was posted in Shikoku and tagged Botchan, Botchan Karakuri Clock, clock, Cuckoo Clock, Dogo, Dogo Onsen, Ehime, japan, Karakuri Clock, Matsuyama, Natsume Soseki by Dru. Bookmark the permalink.